“Things Do Go Wrong” tells the story of the 1960 rock’n’roll tour starring Gene Vincent and Eddie Cochran. It was the first 100% rock’n’roll tour to tour the UK and it played to packed houses, encouraging many young musicians who found success in the British beat boom. However, the tour ended in tragedy with the death of Eddie Cochran. SKU: Things Do Go Wrong. Category: Books. Tags: Eddie Cochran, Gene Vincent, Spencer Leigh, Things Do Go Wrong. 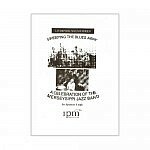 This book is also available through Amazon in a Kindle edition with a little additional material. 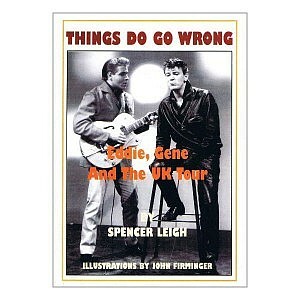 “Things Do Go Wrong” tells the story of the 1960 rock’n’roll tour starring Gene Vincent and Eddie Cochran. It was the first 100% rock’n’roll tour to tour the UK and it played to packed houses, encouraging many young musicians who found success in the British beat boom. However, the tour ended in tragedy with the death of Eddie Cochran. “Things Do Go Wrong” provides an intimate, backstage picture of the tour, going into the hotels and coaches with the stars and speaking to the participants. “Things Do Go Wrong” is enhanced by press cuttings of the day assembled by the pop archivist, John Firminger. 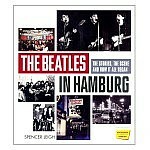 “Things Do Go Wrong” is the fifth volume about the rock’n’roll era to be published by Finbarr International. It is a worthy successor to the histories, HALFWAY TO PARADISE and BABY, THAT IS ROCK AND ROLL and the biographies of Lonnie Donegan (PUTTIN’ ON THE STYLE) and Billy Fury (WONDROUS FACE). Although this is a tragic, almost Shakespearean, story, “Things Do Go Wrong” is also a very funny book, showing the problems that two Americans faced in trying to cope with the Britain of 1960.